Binding Private Ruling No 191 (Ruling) was released by the South African Revenue Service (SARS) on 26 March 2015. The Ruling relates to the refinancing of debt through means of preference share funding. the provisions of s19 and paragraph 12A would not be applicable to the repayment of the existing loans. For purposes of this article, we focus on the last two issues, which have caused (and will most likely continue to cause) some debate amongst tax practitioners. (c) the holder of the share at any time after the share has been issued obtains the right to require that share to be redeemed in whole or in part, otherwise than as a result of the acquisition of that share by that holder”. To the extent that a new ‘date of issue’ arises (eg the issuer, after the issue of the shares, undertakes the obligation to redeem that share), it could result in the preference shares becoming ‘hybrid-equity instruments’, which would result in any dividends received by or accrued to the holder during that year of assessment in respect of those shares being deemed to be income in the hands of the recipient. the exercise of the option to partially redeem would not alter any of the remaining preference share terms. Having regard to the issuer’s rights to voluntarily redeem the preference shares at any time and the wording in paragraphs (b) and (c) of the ‘date of issue’ definition, the applicant in the Ruling would have been concerned that once the issuer decides to voluntarily redeem the preference shares, either the issuer undertakes the obligation to redeem that share (in whole or in part) or the holder thereof acquires the right to call on the issuer for the redemption, thereby triggering a new ‘date of issue’. If one attributes an ordinary meaning to the wording in the ‘date of issue’ definition, it appears that the voluntary redemption by the issuer could well create a new ‘date of issue’. However, the interpretation of the wording in the ‘date of issue’ definition, which has generally been preferred by tax practitioners, is that no new ‘date of issue’ should arise on the voluntary redemption of the preference shares on basis that the undertaking to redeem the preference share should be seen to arise whenever the enforceable obligation arises, irrespective of the fact that the obligation can only be enforced at a later stage. If an issuer undertakes to redeem the preference share after, say, four years, the date of issue will be the date upon which the undertaking is given, ie on day one and no new revised date of issue will arise (see paragraph 4.1 of Chapter N of Taxation Principles of Interest and other Financing Transactions by Prof TE Brincker). It appears that the Ruling may support this view where it was specifically indicated that “the voluntary redemption of the preference shares by the Co-Applicant, whether partially or in full, will not create a new ‘date of issue’ as defined in section 8E(1)”. The Ruling does, to some extent, clarify the uncertainty surrounding the interpretation of the wording in the definition of ‘date of issue’ in s8E of the Act in the context of a voluntarily redeemable preference share. Subject to certain exemptions, the provisions of s19 of the Act and paragraph 12A of the Eighth Schedule to the Act can find application to the extent that there is a reduction of debt owed by a person. To the extent that there is a reduction of debt, these provisions could trigger income tax and/or capital gains tax consequences for the debtor being relieved of its debt obligations. The issuer held 26% of the ordinary shares in a private company, incorporated in and a tax resident of South Africa. The issuer had subscribed for these shares in the Company on loan account (Subscription Loan). As a result of the issuer’s subscription for shares in the Company, the holder’s interest in the Company had been diluted to 74%. To compensate the holder, the Company had declared a dividend equal to the Subscription Loan to the issuer, which remained outstanding on loan account (Subscription Dividend). the Company would utilise the funds received from the issuer to fully settle the outstanding balance on the Subscription Dividend. If one has regard to the flow of funds in the proposed transaction in the Ruling, there would be a circular flow of funds between the holder, issuer and the Company. The question that often arises in these circumstances is whether there must be an actual flow of funds or whether an alternative payment mechanism can be implemented to alleviate the need to use cash? For example, could the proposed transaction have been implemented on the basis that, firstly, the holder discharges its obligation to the issuer by discharging the issuer’s obligation to the Company (referred to as a payment solutionis adiectus gratia)? Thereafter, the holder and the Company could set off their respective obligations, negating the need for there to be a flow of funds. It is assumed that it was this potential set-off of the parties’ obligations which caused the applicants to seek the Ruling and implement the proposed transaction through means of an actual flow of funds. Pursuant to C:SARS V Labat 2011 ZASCA 157, concerns have been raised that a mere set-off does not necessarily constitute a valid discharge of a debt. If one adopts this interpretation of the Labat case and the proposed transaction in the Ruling had been implemented through means of set-off, there would not necessarily have been a valid discharge of a debt, which would triggered the debt reduction provisions contained in s19 and paragraph 12A of the Eighth Schedule to the Act. 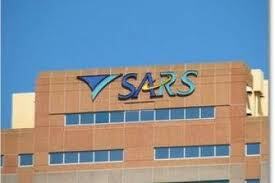 On the basis that the proposed transaction in the Ruling was implemented through means of an actual flow of funds, SARS ruled that “the provisions of s19 and paragraph 12A will not be applicable to the repayment of the subscription loan and subscription dividend loan”. When implementing preference share transactions taxpayers must give careful consideration to the provisions of s8E and s8EA of the Act as the wording of these provisions is often unclear, which can lead to disputes with SARS. Furthermore, taxpayers must give careful consideration to their particular circumstances before deciding to set off their respective obligations as it may have unintended tax consequences.